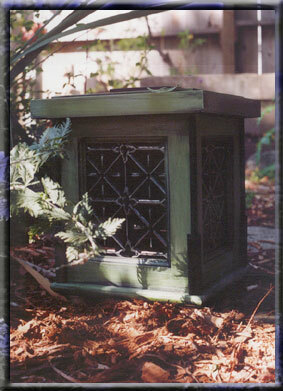 This urn is constructed of recycled wood with pressed metal inserts as side panels. It is hand decorated. The size is 9" square x 12" tall.